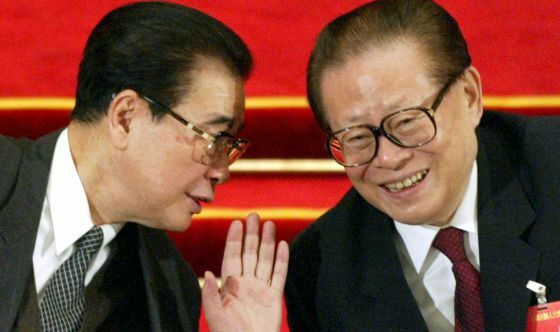 Almost two months after the Fourth Section of the Audiencia Nacional’s Criminal Court issued a writ on 18 November for the arrest of five top-ranking Chinese leaders – including former president Jiang Zemin and former prime minister Li Peng – accused of the genocide of the Tibetan people, the corresponding international arrest warrants have still not been issued. And it is unlikely that they will be in the near future. The judge in charge of the case, Ismael Moreno, has now issued a court ruling handing over to the three judges of the above-mentioned court the hot potato of proceeding with the search and arrest warrants that have so angered the Beijing authorities and opened a bilateral diplomatic crisis. The judge has based his decision on the public prosecutor’s report, according to which international arrest warrants require a prior arrest warrant giving details of the acts committed, their legal classification, and the evidence and individual responsibility of each of the accused. But instead of the judge issuing these arrest warrants himself and the Fourth Section only revoking or ratifying them, Moreno’s aim is that this court be “the one to order the arrest of the accused with the motivation that is demanded”. And he does so through the unusual formula of a consultation. Moreno already ruled in the past to shelve the proceedings, and it was the Fourth Section of the Criminal Court that saved the case, in response to the plaintiffs’ appeals (the Comité de Apoyo al Tíbet, the Casa del Tíbet, and the nationalised Spaniard of Tibetan origin, Thubten Wangchen). After the judge requested a report from the public prosecutor, the plaintiffs submitted a request last month that Moreno comply “without delay” with the Fourth Section’s ruling, and issue “the international arrest warrants immediately”. Which seemed obvious, as no appeal against that court was possible.